Sometimes the advertising part of your business can be completely overwhelming. If your one of those people, then this is a great post for you. I will make it as easy as filling up your wax stick tray. I’ve had my business on Google for over 6 years and you will see the insights how successful and important my google listing is to my business. There are a thousand places to list your business on the internet, but Google is by far the most important one. It’s also one that you can basically set and forget. Once you have your information in there you don’t need to change it unless you are updating your business information. 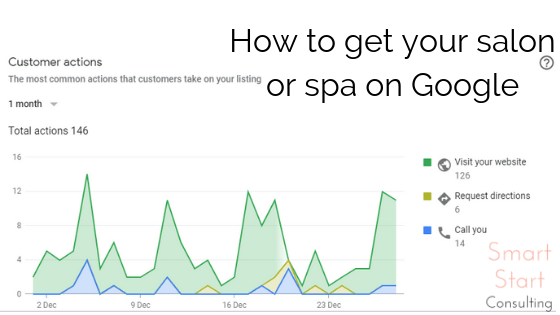 Why get your salon or spa on google? In this day and age everyone “googles”. When you put your business on google it increases your chances of building your business by making it internet visible. 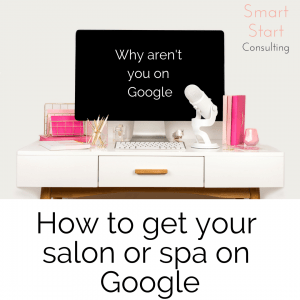 What happens when you get your salon or spa on Google? I was trying to figure out the best way to type all the steps out then I realized that the information changes so fast that it’s better if I send you right to the direct page on google. It’s pretty easy and it’s basically fill in the blanks. Click the magic green button! A free easy to build website! But don’t worry. If you already have a website, you won’t need to take part in this step. You’ll also get complete control over all your business information like hours, pictures, map details etc. One of my favourite features is insights. You’ll learn what is working well for your business, how many people are finding you and what buttons they are clicking. 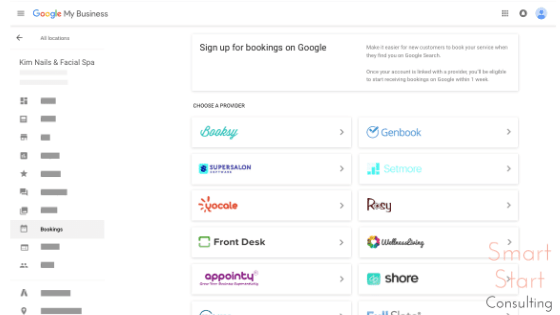 If you take online bookings certain schedule providers, you can even have a direct booking link. If your provider is not on the list, you can add a button to your posts to go directly to your website. 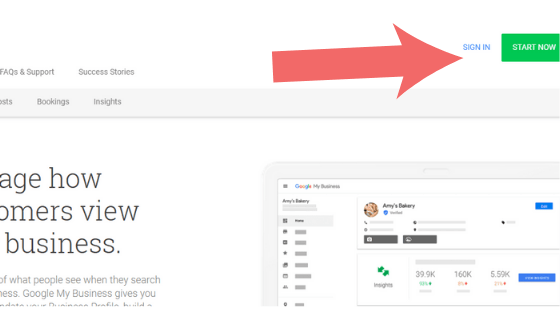 How to wow people with your Google listing! Fill in as much of the business details that you can. From experience the more information on the listing that there is the less likely you get information request phone calls that tie up your days (ie. What time are you open until, do you take visa, etc. etc. Take amazing pictures of your business and products and even yourself! You can add text overlay with a free picture editing program like Canva. Claiming your business on Google is not that scary. It takes 10 minutes or so to set the account up and request the verifications post card. 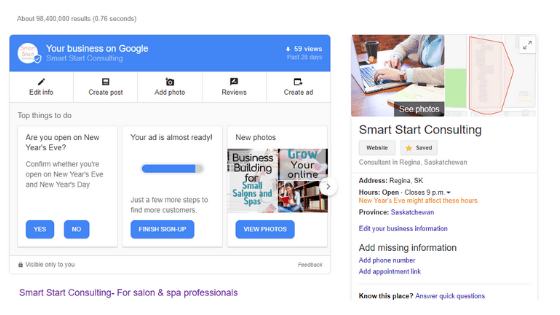 Your free google listing can really help grow your business! It’s Ok. It took me a while to figure out. Here is a video if you are a visual learner or need a little more help! If you like this article you might be interested in Accounting and taxes for self-employed estheticians.